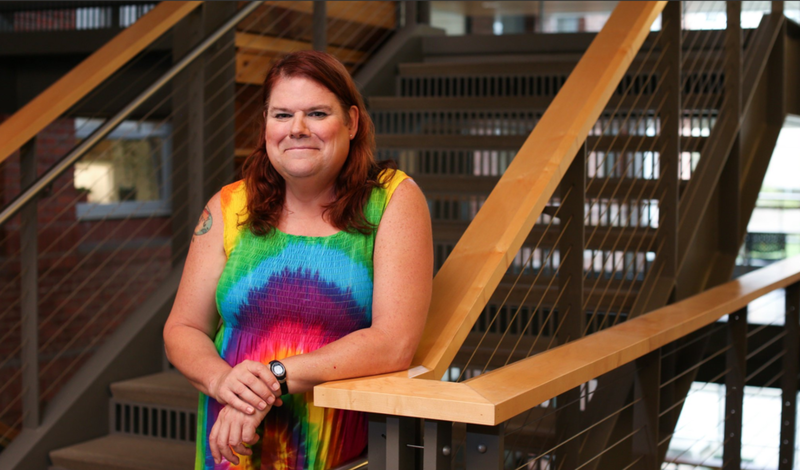 ​The process of a transgender Oregon School of Journalism and Communication PhD student converting their life and energy and experience to building a community of support and acceptance. As a transgender person, I am the only person on earth who actually has to prove I exist. I have to convince you with proof that I’ve had surgery, I have to convince my counselor I’m miserable. I have to convince the governor of Texas I’m not a predator lurking in the bathroom. It’s kind of crazy; I mean, if you tell me you’re Catholic, I don’t demand to see your rosary beads and then tell you there’s not enough." Through stand-up comedy, storytelling, teaching and media interviews, Bethany is out in a very public way.